Shao Ting-Ju presents Kautou Takeuchi and Peter Pinkus. it’s straight from New York City across the densely populated yet green „garden state“ of New Jersey, from the urban sea level Jersey City on Upper New York Bay to the Delaware Water Gap and Belvidere, New Jersey. 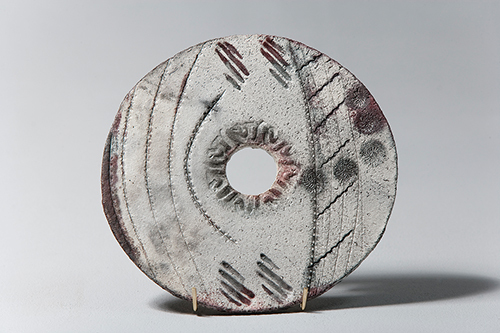 It takes about two hours by car to the home, studio, botanical garden and kiln of one of America’s foremost artists dedicated to wood fired ceramics and builder of the first anagama Japanese inspired, climbing kiln in the USA. This relatively short journey for the visitor represents a transformative, ongoing event in the life of the artist whose flight from the city to the country and whose connection to nature seems to be, to me, the essence of his art, his inspiration and his primary preoccupation. Having been born and raised in the city, Callas’ move to the country as an adult was a necessary step to nurture his understanding and heightened appreciation of the forces of nature within and surrounding him. 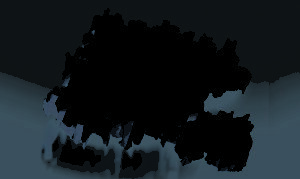 On a recent spring visit to Callas’ home, I was immediately struck, noting a marvellously gnarled and knotted trunk of a tree in Callas’ expansive yard, a „Weeping Cherry,“ Callas informed me, as I compared it almost identically to his recent sculptures – in the complexity of this old tree’s twisted form and the dark, rough, contorted surfaces of its trunk. In the same yard moments later, I remarked upon a large, seven foot, vertical jagged stone next to his swimming pool, comparing it to the „scholar rocks“ or „artificial mountains“ so venerated in China and Japan for their inherent sculptural qualities and representative symbolism as part of the earth. „The less perfect an object seems, the more honest it is.“ Evelyn Schoenmann assigned this quote from a Scandinavian designer to her series, Chawan. These vessels inspired by traditional Japanese teabowls are neither regular nor uniform. On the contrary, they sometimes have fissured rims, rough surfaces, and in places, no glaze, revealing the clay beneath. No two of her chawan vessels are alike. 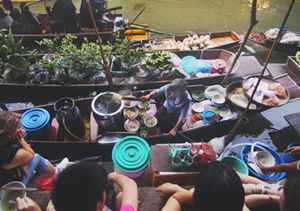 One opens out like a red-brown bud, another has a cracked surface like an old map, another has the appearance of a blue-white karst mountain range. In Japan, making a chawan is among the highest-ranking tasks of the potter and it is one of the rules of the tea ceremony that the guests admire the beauty and uniqueness of the drinking vessels. Also, their value does not decline with use. Cracks and chips are even sometimes repaired with gold, raising the value of the piece. The perfection of a chawan thus does not lie in its symmetry but in the uniqueness of its form. A part of this is the divergence from a regularity in its dimensions, which precludes production in series. All of Evelyne Schoenmann’s chawan are hardened with a traditional primitive firing technique, which makes every one of them unique. Such firing techniques, which are dependent on the weather, the fire and the fuel, by nature never produce identical results. 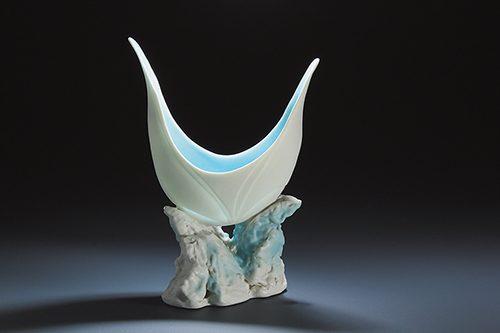 Form, surface and glaze are subject in varying degrees to random elements. Irregularities in varying degrees, unforeseen patterns and colours are the characteristics of this process. Individual pieces emerge through the unrepeatability of each attempt. And if we take the quote mentioned above seriously: is there not a greater degree of honesty in the individuality of the one-off piece? 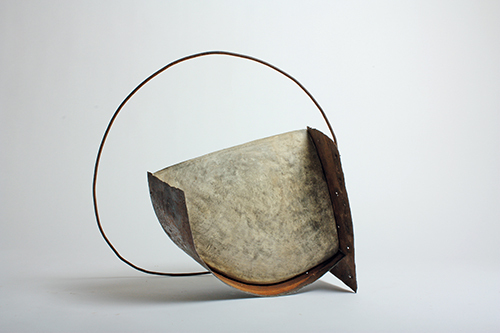 Sculptures by Gilles Suffren have many layers, one can say that they are studies in form and balance. Many of them have two separate clay parts and often these two parts are united with and held together by the help of another material. 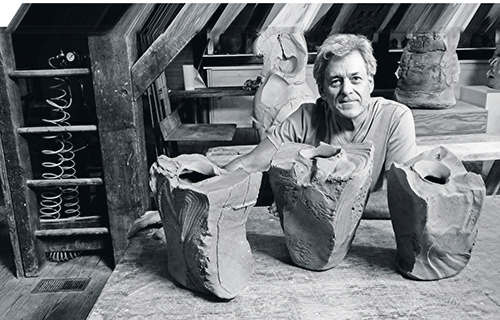 Gilles Suffren is an architect who works in clay. He has chosen clay as his material because of its workable, plastic quality which enable him to shape what he has in mind. While studying architecture, he used to walk in and out of the ceramic department, which was next door, because it attracted him. He uses iron or steel bands to position his clay pieces in their angle. This is necessary in order to support the clay parts in their intended stance. Gille’s work stand on points or edges. The metal links between the two parts of the sculpture help the balance, in this manner the heavy inclining clay mass seems to defy the force of gravity. When the two clay parts are united with the metal part, the space thus created in between becomes very much part of the sculpture. We have then two parts in clay, a thin line in metal with its own design and the empty space that visually is an essential part of the whole. In all of this composition, there is the material element of clay, of heaviness, and the element of the iron binding, of lightness, and the space between these parts, fullness and emptiness. 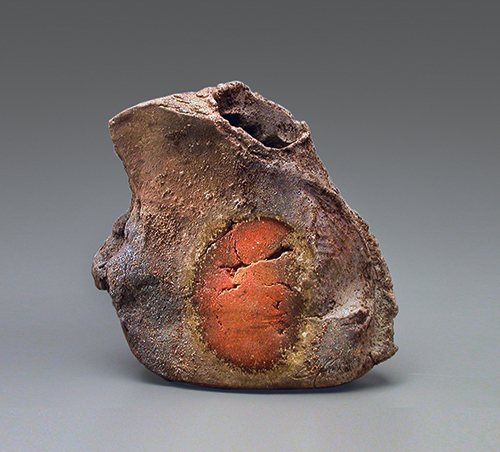 Ceramic artist Ekaterina Ominia is currently exhibiting in Germany for the first time. 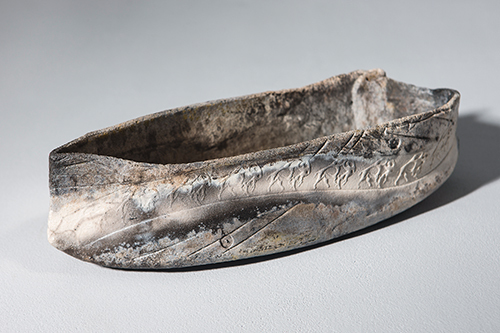 The Applied Arts Group of GEDOK* in Bonn invited her to take part in their exhibition „Auf dem Weg …“ („On the Way …“) at the Töpfereimuseum Langerwehe. For the exhibition, Ekaterina has brought only painted porcelain with her, although naturally she makes and fires other clay objects too. 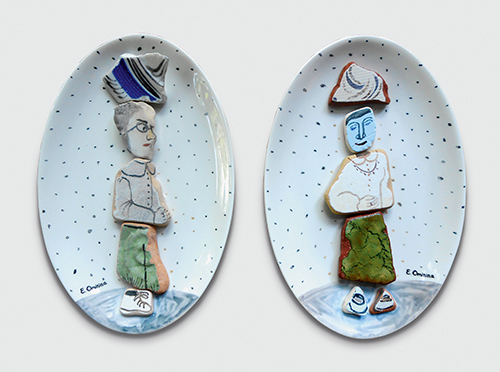 The work on show in Langerwehe is made of industrial porcelain on which Ekaterina has painted folk-art scenes, or has made collages with found objects. These found objects mainly come from beaches in Montenegro, where the artist spends a lot of time. The sea defences in Montenegro were originally made of bricks, which have now been replaced by concrete. Small remaining fragments simply lie scattered on the beach. Ekaterina Ominia was born in St Petersburg (formerly Leningrad) in 1957. She is from a long-established family of artists and architects and still works in the studio of her grandmother, a painter. 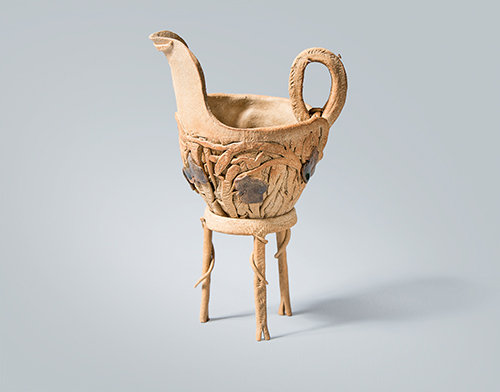 Since her mother was a textile artist, Ekaterina decided consciously to go into ceramics. She studied at the Muchina School of Art in her home town, where she graduated in 1979. Her course included painting on porcelain, which is unfamiliar in this part of the world (cf. NC 6/15, p. 38 ff.) After the collapse of the Communist regime, she went on to study Christian archaeology at the College of Religion and Philosophy of the Association of St Petersburg Academics. 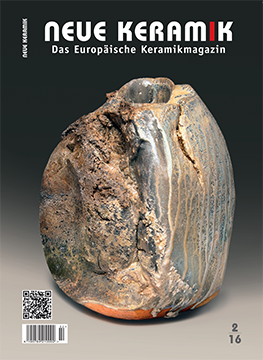 In August 2014, I received the NEUE KERAMIK / NEW CERAMICS prize at Oldenburg International Ceramic Fair in Germany. Besides a solo exhibition of my works entitled The Visible and the Invisible lasting several weeks at the Landesmuseum fur Kunst und Kulturgeschichte in August 2015, part of the prize was a bursary for a study trip, e.g. to Denmark, Italy, China or the USA. 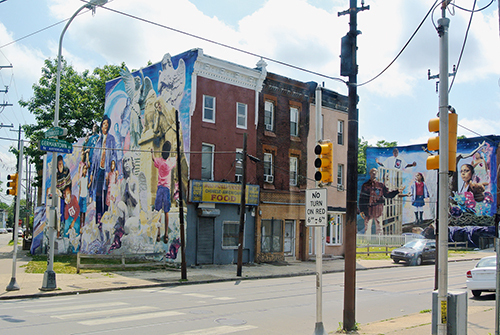 I followed my intuitions and Bernd Pfannkuche’s advice (publisher of the ceramics magazines NEUE KERAMIK/ NEW CERAMICS who donates the prize) and chose one of the best residency places in the USA: The Clay Studio in Philadelphia. I was thrilled to go there as an international perspective and very honoured to be selected as a Guest Artist in Residence for one-month stay in May 2015. 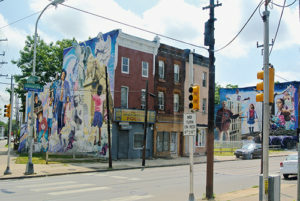 Settled in the Heart of America close to Liberty Bell and with the oldest city street in the United States at next corner, The Clay Studio is a world-renowned ceramic arts learning centre located in Philadelphia; the majority of art galleries are centred around the Old City district. 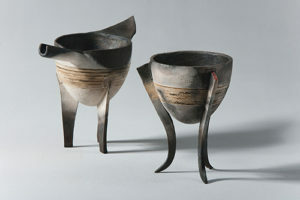 The second edition of Cluj International Ceramics Biennale is a synergic series of cultural events which, besides their artistic component, is aiming for an extensive intercultural dialogue as well as creating educational awareness in visual arts by introducing the Romanian viewer to contemporary ceramic artists and contemporary practice in the field. The biennale is also getting national and international institutions to work together with the aim of creating an environment for ceramics in the city of Cluj. The Ceramart Foundation of The Second Edition of International Ceramics Biennale made the above announcement, about what is regarded as one of the most important activities in Romanian ceramics field. This event took place from 9 October – 3 November 2015 in Cluj-Napoca Museum of Art. By way of the internet, 7 jurors re-viewed digital slides and artists’ files of 195 pieces; 110 works from 37 counties were finally selected. Teabowls to Korea? Coals to Newcastle? Yes, of course! I travelled to Korea in May 2015 thanks to a kind personal recommendation. I had already said several times that I could spend the rest of my life making nothing but teabowls if that were financially feasible. In these conveniently-sized drinking vessels, an infinite world of technical and creative possibilities opens up – and I am not talking about philosophy or design but simply craft pottery. 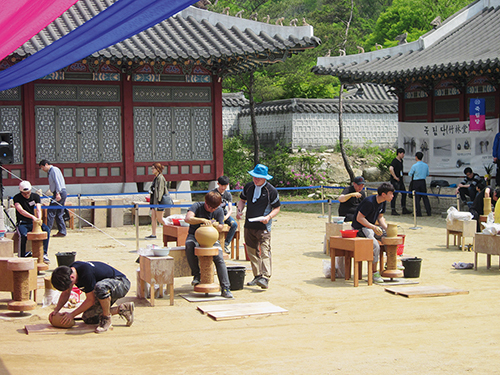 The Mungyeong Traditional Chasabal Festival took place last year from 1–10 May. This festival is still relatively young. It took place for the first time on 1 and 2 October 1999. 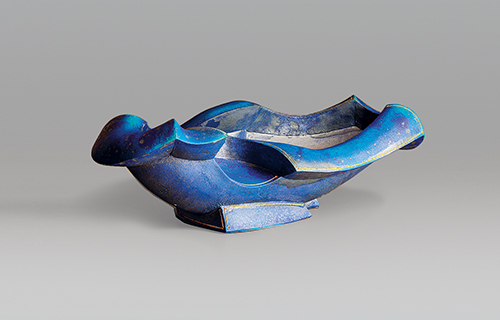 The organizer’s intention was to develop the existing cultural landscape and to promote the material and intellectual characteristics of the traditional Korean teabowl as well as supporting the local master craftsmen with their traditional Korean mangda-engi kilns. Antoinette’s number one passion seems to be porcelain. 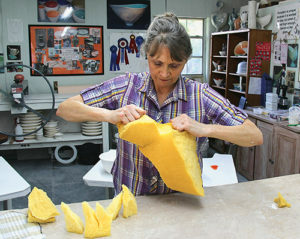 Not many ceramists know as much about this material as she does. In workshops she regularly alleviates the students’ fear of working with it. In this talk with her, we try to learn from Antoinette about “the many faces of porcelain”. Q:Antoinette, your website is very professionally made. Where do you find the time for the upkeep? A:I am very fortunate to have my husband Koos as my web designer, photographer and videographer. His technology background and analytical experience help me to get some advantage. Some years back he took photography classes and soon after that he was published as an art photographer with my translucent porcelain. Each issue is 10€ in Germany incl. 7% VAT, 11€ (EU), US$ 12€, GBP 7.5 in UK, 15sFr in Switzerland. 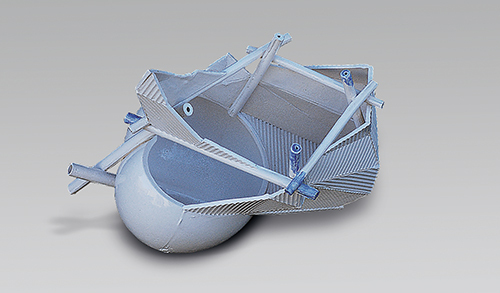 There are no additional handling or shipping costs. Always be up to date with the world of ceramics.